Do-it-yourself projects can make you feel creative, accomplished, and confident as a homeowner. From painting a room to creating your own shelving, there are many ways to improve your home. 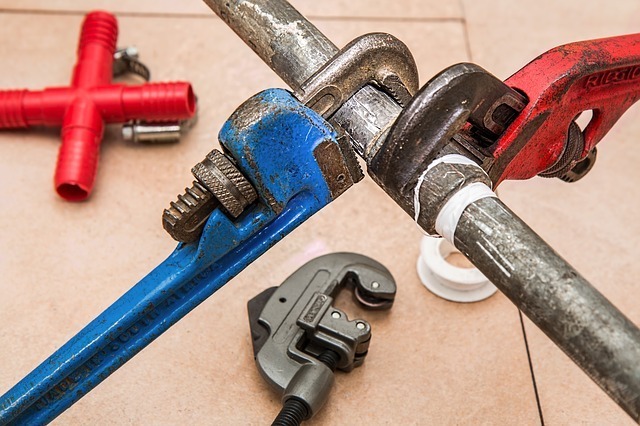 However, despite the popularity of DIY, not all maintenance and repair issues are meant to be handled by the average homeowner, especially when it comes to plumbing. There are times when only a professional is qualified to fix a problem and knowing when you need to call one can help you prevent wasted time, money, and headaches later. The condition of your home’s water pipes can be key when it comes to preventing water damage, and one symptom that may point to a serious issue is noisy pipes. While some noises are common, those that increase as time goes on, such as banging are knocking, may be indicative of pressure problems. When the pressure inside your water pipes increases, this can loosen valves and lead to leaking and wasted water. One way to gauge the severity of the issue is to listen for the noises and note when they happen. For example, if the sounds grow louder right after you turn your taps off, this is most likely a pressure issue. Whistling or hissing could mean a clogged pipe or a damaged valve. If the sounds grow louder each time, it is a good idea to call in a plumber to have those parts checked and replaced if necessary. Sometimes, all your toilet needs is a brisk plunging to clear away a clog. Drain snakes can also be useful, especially for tougher clogs, but some blockages might be resistant to such DIY tactics. There are also a few dangers to fighting a clog when plunging does not clear it, and one of the most common is an overflowing toilet. Not only does this allow contaminated water to spill onto your floor, the resulting flood could cause mold to grow in your floor’s grout if the water is not cleaned up properly. If you start experiencing uneven water pressure in your home, there may be several causes, including your neighborhood’s water supply system. However, if you certain this problem is isolated to your home only, it may be signaling a severe leak somewhere in your plumbing. Since it takes a professional to chase down such issues, you may want to contact one right away to address the issue. You may notice water pressure issues can cause your monthly utility bills to rise, as you are still paying for any water that is wasted every time you turn on your taps. However, since not all leaks are obvious, it is best to leave plumbing issues to the pros so you can be sure that the problem is taken care of properly. While some bathroom odors are common, strong smells of methane or other sewage odors wafting up from your toilet could be dangerous. Sewer gas can cause a variety of health problems, from headaches to nausea, and is typically caused by a cracked or damaged pipe in your home’s plumbing system. A plumber can inspect your system and replace any faulty parts that are causing the smell. Finding the cause of powerful odors in your bathroom may require the use of protective equipment and breathing masks. As such, calling in professionals who have access to this type of gear can protect you from odors and gasses that may be too dangerous for common DIY solutions. Do-it-yourself projects can be fun, allow you to be creative, and give you a sense of accomplishment when you fix small problems around the house. However, when issues with your plumbing arise, contacting a professional can prevent long-term damage to your home and the costly repair bills that come with them.